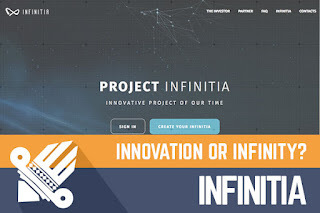 DavidNews HYIP blog - News & Reviews: Infinitia – Innovation or Infinity? 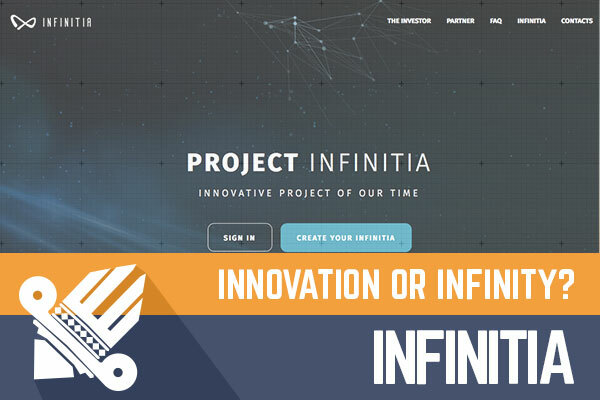 Infinitia – Innovation or Infinity? Summer has just started and some of you might be planning a summer vacation. Of course, there are some countries where it’s always summer or opposite. However, I just realized that May in the HYIP industry has been less active compared to April. Unfortunately, I can’t explain why because previous year it was opposite. My only guess is that the industry has woke up after a long winter sleep and now everything is back to normal. However, we have a new HYIP, which joined DadvidNews.com Golden Stage listing yesterday. The HYIP is called Infinitia. Not sure if it has a meaning or not. Google translate couldn’t detect the language when I tried to translate this word. Of course, I’m aware of the meaning of the word infinity. The project is freshly baked and has been online only for 4 days in total. I have reinvested into Infinitia $400 and will keep you informed about the performance of this HYIP. Nothing big to add so far. Let’s take a closer look and find out more about this project. You might have heard expression - Less is more, which describes my first impression of the Infinitia website. It’s simple one-page website with 5 navigation elements, which lead you to a certain location on the web page. Moreover, the admin has integrated interactive element on the top of the page – dots that look like particles, which will be connected with lines when you hover over them. Of course, it has nothing to do with a HYIP, but it’s highly addictive. Moreover, there is an integrated calculator where you can see the potential performance of your deposit. Unfortunately, it allows you to choose only terms in months – 1, 3, 6, 9 and so on. Even though the website has only one page, all important information is there and even more. Yes, the admin has figured out how to provide minimum needed information for a potential investor and inspirational quotes from Elon Musk and Richard Branson with their photographs. Most likely any of them is not informed about it, but Infinitia has decided to use these iconic persons right next to buttons, which lead the user to action – registration page. In addition, the admin has created a website, which is responsive on the mobile devices as well. The story of Infinitia is very simple. Project admins claims on the website that they are a financial organization that accepts deposits from people and pays a fixed percentage of profits. They specialize in long-term investments in crypto-currencies. We have seen plenty of cryptocurrency investors lately. Not sure if there is a space left on the train to make some money out of it. Of course, if you are good at it, money can be made. Infinitia has no company registration details present on the website, but that is not bad sign, more than half of HYIPs does well also without any company incorporation behind them. Infinitia offers only one investment plan with 2.88% interest rate on weekdays and 1.88% on weekends and public holidays. In fact, public holidays are tricky because there are plenty of countries celebrating their own public holidays on different days of the week and Infinitia hasn’t specified their business location. Moreover, calculator with the possibility to check profit for a potential deposit allows you to choose only months. Deposit in all cases is not being returned. In such cases, it’s very important to understand when the deposit will reach the break-even point and will start making a profit. For example, a deposit of $200 would reach its break-even point after 39 days if we assume that your investment will be made on Monday. It’s hard to understand what algorithm the admin has integrated into the calculator, but I believe real-file profit will not differ from calculator one. However, I highly recommend doing your calculations, to understand the real benefit. In conclusion, I want to say that only time will show what will happen to Infinitia. It has an attractive website, which has all the most important information on one web page. Moreover, it is friendly for mobile users. I would suggest improving a calculator, which might be confusing for beginners. Otherwise, there is not much information to add about this HYIP because it doesn’t have any presence on social media. I did check also forums but didn’t find anything unusual about it. However, please drop a message in the chat box if you do notice anything unusual. In the meanwhile, keep an eye on the monitor; As always bear in mind that all HYIP’s are highly risky and you are the only person responsible for your investments. Therefore, if you ever decide to make any investments, don’t invest more than you can afford to lose! Investment plans: 2.88% daily every working day and 1.88% daily on weekends for an unlimited term, deposit locked in forever. And most importantly, Claim free bitcoins every 10 minutes from the faucet. If you are trying to BUY bitcoins online, Paxful is the #1 source for bitcoins as it allows buying bitcoins by 100's of payment methods, such as MoneyGram, Western Union, PayPal, Credit Card and even converting your gift cards for bitcoins. If you are looking for the ultimate Bitcoin exchange service, then you should choose YoBit.